Oven Cleaning Home & Commercial Kitchen Clapham Junction SW11 | Quality Property Care Ltd.
Quality Property Care Ltd. offers professional commercial and residential oven cleaning everyday of the week with no exception for weekends or holidays! Book your service by calling us on 020 3746 4287 today and get your cooking device in a top condition in no time. Perfect final results are guaranteed! If you want we will clean all of your kitchen appliances with a discount on the price. We can also clean single wide ovens, range half size ovens including their trays and racks, warming drawer doors, master range excluding burners, small barbecues and large barbecues. We work with safe detergents and tools which allow us to remove stains and grime without poisoning the surfaces that touch your food. The biodegradable materials and detergents allows us to safely clean your kitchen and appliances without you having to worry about hazardous residue entering your food. All detergents are of the top quality, and are 100% child and pet friendly, and eco-friendly as well. 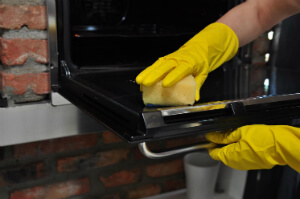 You can safely use the oven or the cooker immediately after it has been cleaned. 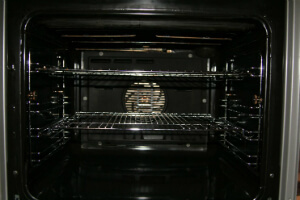 Don’t wonder whether you should get a professional deep oven cleaning, and book your service now! Booking a thorough oven cleaning service has never been easier and faster. The customer support is waiting for your phone on 020 3746 4287 or for your online booking form. You will be charged with no deposit for booking, and there are no hidden fees for the service. Emergency booking is available. You can book your oven cleaning for any day of the year, including bank holidays and weekends, with no additional charges.